Teaches player all shout words. Included all Skyrim, Dawnguard and Dragonborn shouts. 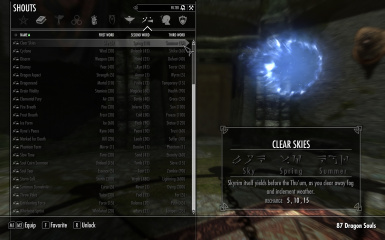 Have also added special shout "Summon spectral clone"
Just copy the file into your Skyrim Data directory. Open console in game and type "bat addshouts". You still need to unlock the shouts, so I've added 87 dragon souls so you're able to unlock all shouts immediately.